Computer simulation of Alexander S. Douglas, OXO (or Noughts and Crosses), 1952. The age of budding technology—the old, clunky ’90s desktop and its one, repetitive flash game—come back to life in the latest exhibition at the Harvard Art Museums’ Lightbox Gallery. Titled “JODI:OXO,” the interactive experience is modeled after a simple, traditional computer game of tic-tac-toe. The exhibition is part of a larger collaboration between 13 Boston-area arts organizations and the Institute of Contemporary Art. “Art in the Age of the Internet” is a new exhibit at the ICA that explores how technology, and more specifically the internet, has affected art and everyday life. For its contribution, Harvard tapped JODI, a digital art duo formed in 1994 by Joan Heemskerk and Dirk Paesmans. JODI’s art is influenced by the early internet and basic HTML coding. All it takes is one visit to their website, wwwwwwwww.jodi.org, (yes, it’s spelled that way on purpose), to realize that they aren’t an ordinary group of artists. “JODI stuck out for so many reasons, in particular because they are one of the most influential, pioneering groups who started building works of art made specifically for the internet,” Chris Molinski, one of the exhibit’s curators, says. 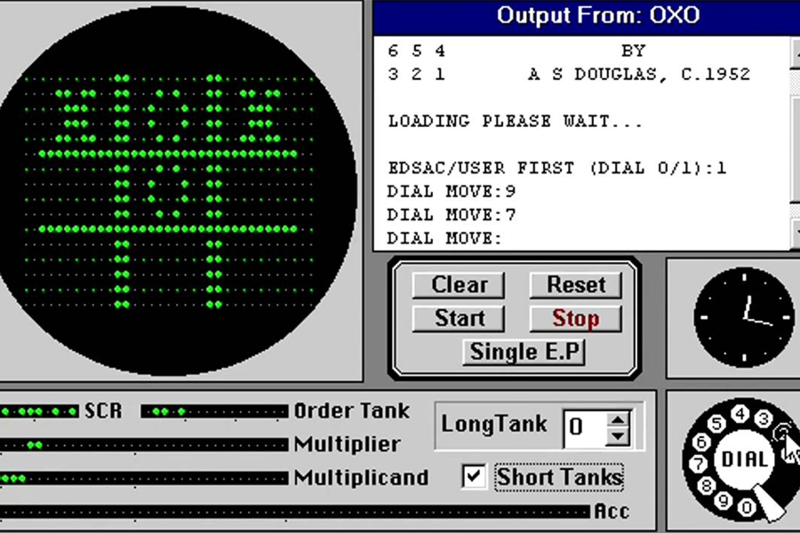 “OXO” works as a traditional game of tic-tac-toe, where the viewer will have the option to play with a friend or against an AI simulation. Don’t expect the game to look like a fancy iPhone app, though. Instead, it will appear as if it lived on an old ’90s desktop, an era of technology that is recent in life years, but so ancient by tech standards, it’s almost foreign. Almost. Through April 23, 2018, Harvard Art Museums, 32 Quincy St., Cambridge, harvardartmuseums.org.